The humble prune-plum’s last hurrah this summer (for me anyway), falls somewhere between a relish and a sauce; something that my friends and I will continue to relish between now and next year’s crop. 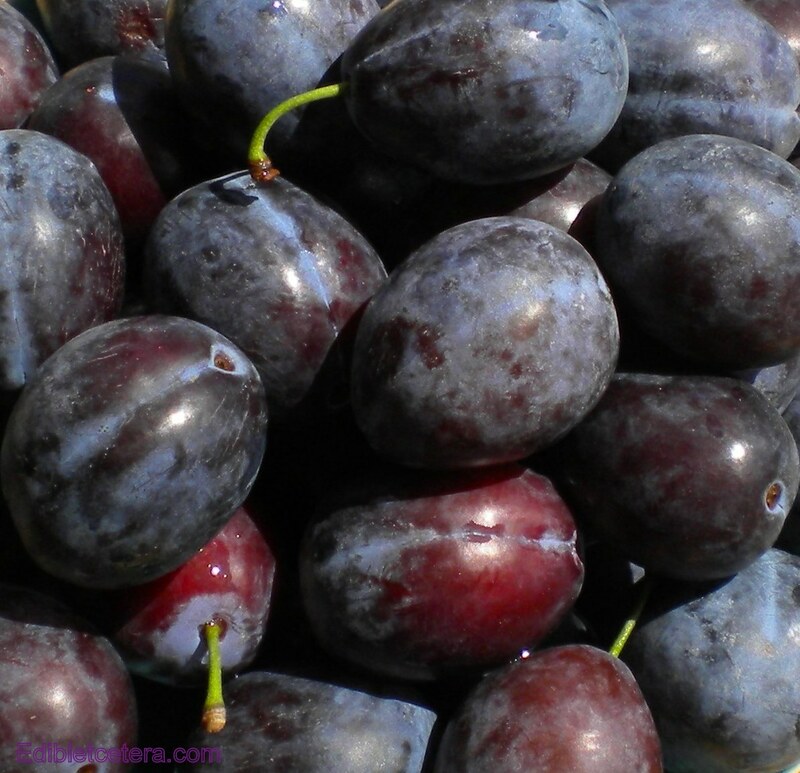 Spiked Plum Relish is every bit as good as cranberry sauce in my opinion and will be delicious served with Thanksgiving turkey, Christmas ham, roast pork, roast chicken (all hot or cold), duck, goose, wild game birds, sausages – and just about all types of cheese. Best of all, it’s insanely easy to make and if you can’t find *chipotle chili in adobe, just add cayenne and/or increase the fresh ginger to taste. Provided you taste this as it cooks, you can adjust all of the spices and flavorings to suit. If you have a spice grinder, grind the spices from whole. Put all the ingredients in a large heavy pan with a lid and bring it to the boil. Reduce to a good simmer over medium heat and continue to cook, covered for 15-18 minutes. Take the lid off and simmer for another 30 -45 minutes or until everything has completely softened. Stir occasionally to prevent sticking. Once it’s cooled enough, blend it with one of those hand held things or pulse in a food processor until you have no large chunks of anything remaining. Transfer the relish to warmed, sterilized, airtight jars and store in a cool place. I’m not quite sure how long this will last once it’s opened, so perhaps use 4oz (225ml) jars – that way you’ll have lots of great hostess gifts to hand out this coming holiday season. This entry was posted in Sauces, Preserves, Condiments, Vegetables / Vegetarian. Bookmark the permalink.